The Skinny: Per Penn State athletic department rules, true freshman like Saquon Barkley aren’t allowed to speak to the media. That’s okay. 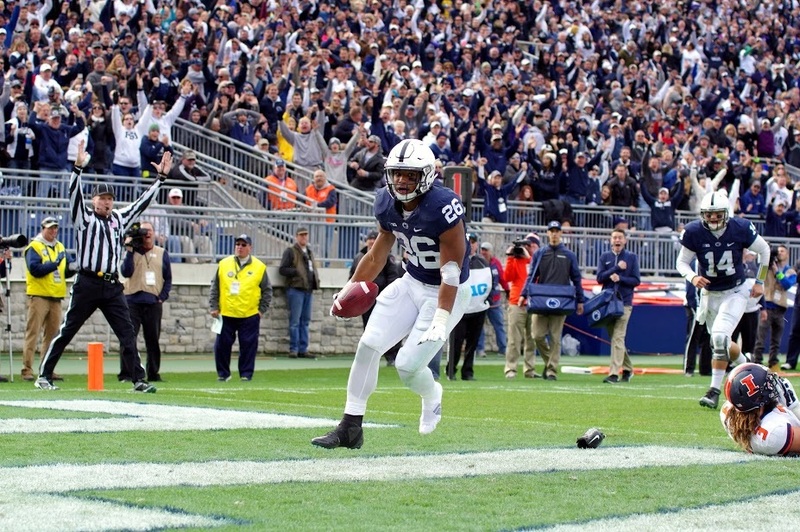 The running back lets his legs do the talking for him and Barkley’s made a pretty vocal entrance into the world of college football with his quick feet, turbocharged burst and ability to make tacklers miss. More than two months into the season, he’s considered among the top true freshmen in the country. Pro Football Focus ranks him second and he’s sixth in yards after contact despite missing two and a half games. He’s also in PFF’s Top 3 “most elusive” players, too. “I’ve been saying it for quite a while, that kid’s special,” quarterback Christian Hackenberg said. 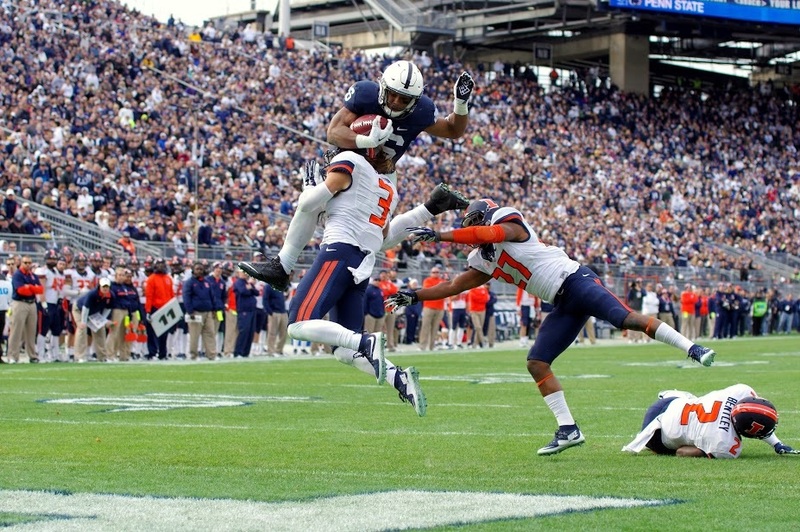 As if you needed any more evidence after Barkley hurdled a Buffalo safety in Week 2. Take his strong game against Ohio State when a holding call negated a long touchdown that looked like it might swing the momentum or his Hurdle 2 run. Barkley turned an Illinois into a piece of track and field equipment and jumped through two others into the end zone against Illinois. 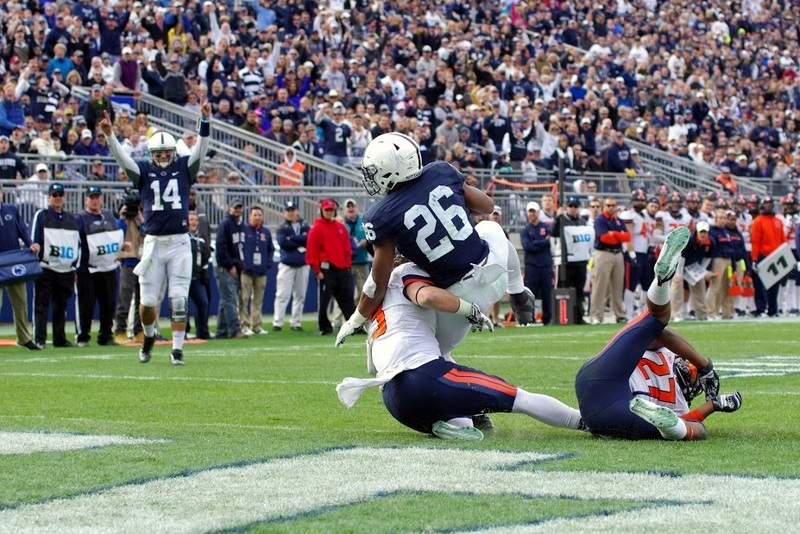 If there was one big reason to watch Penn State’s last two games — you’re going to anyway, no matter what — it’s to see what big plays Barkley has in store. For now, Penn State may have found another way to deploy the shifty running back as he was a terror from the wildcat against the Wildcats, Mark Wogenrich of the Allentown Morning Call writes. 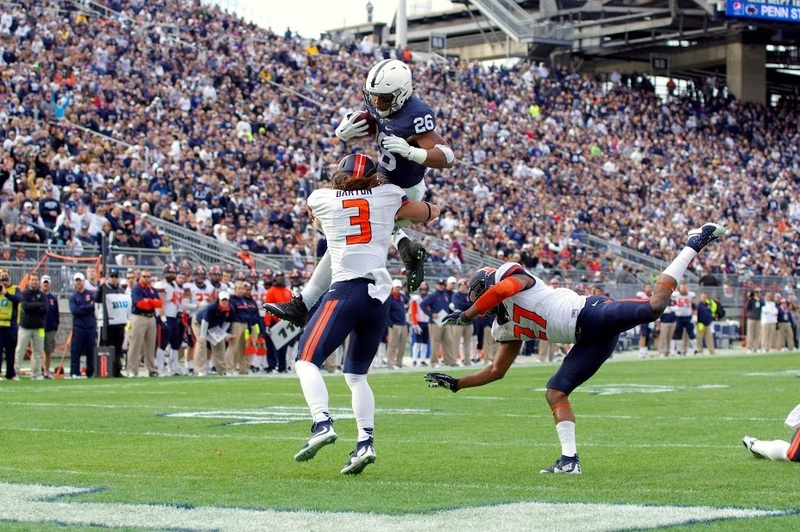 Not only was Barkley dangerous with the direct snap, he posted his best receiving game of the season against the Wildcats, PennLive writes. Where has most of Barkley’s production come from — early or late? A full statistical breakdown of the true freshman.